R ingo’s recording career deserved to be taken seriously, but was the world ready to accept Ringo as a serious musical artist? This is the question that Ringo the 4th asked. (The answer, in case you’re wondering, is 162.) Gone are the boozy covers, the Beatles and the humble humor that made his previous albums so endearing. In their stead is a remarkably tight studio band, top-notch production from Arif Mardin and Ringo’s now-emphatic (if slightly grim) delivery. But where’s lovable old Ringo in all this? 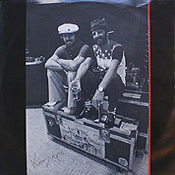 “Drowning In The Sea of Love” is dire, disco and definitely not what Ringo’s legions had come to expect from the author of “A Dose of Rock ‘n’ Roll” and “Oh My My.” Without a likeable single to latch on to, drown is exactly what Ringo the 4th did, becoming his first album not to enter the US Top 100. In its defense (and I can’t help myself), the album isn’t any worse than Rotogravure. There’s nothing on Ringo the 4th as infectious as “Cookin’ (In The Kitchen of Love),” nothing as bad as “I’ll Still Love You” (though the cover of “Can She Do It Like She Dances” is pretty awful). Meanwhile, Ringo the songwriter emerges strong, gaining credibility with a 60/40 split (in concert with Vini Poncia) that doesn’t account for the album’s lamest moments (“Wings” isn’t embarrassing at all, for example). But without a tasty morsel like “Photograph” or “A Dose of Rock ‘n’ Roll” to tease them, music listeners weren’t going to buy a Ringo Starr album that had nothing to do with The Beatles. Looking forward, Ringo the 4th set the groundwork for subsequent Yoko Ono albums like Seasons of Glass and It’s Alright. 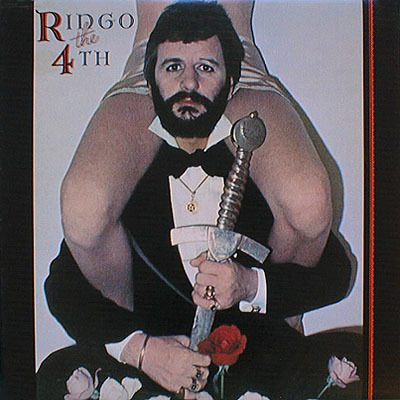 It’s certainly not one of his better albums, but if you bought into his various incarnations in the first place (standards singer, country artist, pop star), why not Ringo the disco singer on the fourth?